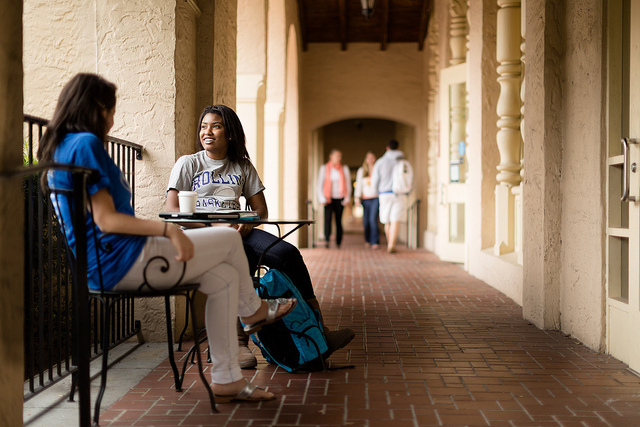 On any given day at Rollins, I am likely to hear at least two rumors about students that I have never met before, none of which I actively seek out. Rollins is a place where rumors reign supreme, and I endeavored to find out why. “Well, it’s advantageous for everyone [in a community] to know everybody’s business,” explained Dr. Paul Harris of Rollins’ Psychology Department. Dr. Harris admitted that, while not much research has been done on the subject, there seems to be an evolutionary advantage to gossip. Rollins, being as small as it is, forms a community unto itself. Almost everyone knows everyone in some capacity, and it benefits one to know what others are doing to avoid potential social pitfalls. Rollins also possesses what Dr. Harris referred to as “a well-developed grapevine.” Thanks to a vibrant social media scene and intermingling friend groups, news spreads very quickly on campus, and often very haphazardly thanks to this speed. However, its quickness means that information is frequently distorted. Here, it is useful to note the distinction between benign and malicious gossip. Benign gossip simply keeps track of a person’s everyday harmless doings, such as with whom a person might have a romantic interest, or what they supposedly want for their birthday. Malicious gossip, on the other hand, spreads information that will very clearly harm a person’s reputation. Embarrassing doings and secrets are often spread to damage a person’s social health. I am not concerned with the benign gossip occurring at Rollins. What is concerning is all the malicious gossip. Dr. Harris pointed out that malicious gossip is one way to raise one’s own ego by tearing someone else’s down. This has occurred many times in Rollins’ own social circles. As a result, the Rollins social scene is not merely about becoming popular; it almost demands that we investigate others and bring them down. This is made easier by friend groups that intersect without overlapping. It is far easier to condemn someone you do not know and do not care about; at Rollins, there exist many tight-knit social circles that keep to themselves, allowing for this setting of social hyenas. This creates negative preconceived notions that stop people from creating new relationships. The more malicious rumors run rampant, the less Rollins can foster friendships—and the amount of enemies only rises. Is this a matter of life and death? Certainly not, but it does make for a far less trustworthy setting, one that Rollins has had no problem creating. I implore students to stop giving in to the desire to tear others down in order to make themselves look better, as well as the response to continue the malicious grapevine.